WASHINGTON, Nov. 30 (Yonhap) -- The readiness of U.S. and South Korean forces has not has been impaired by the suspension of large-scale military exercises, and the alliance between the two remains strong, a top U.S. military commander has said. 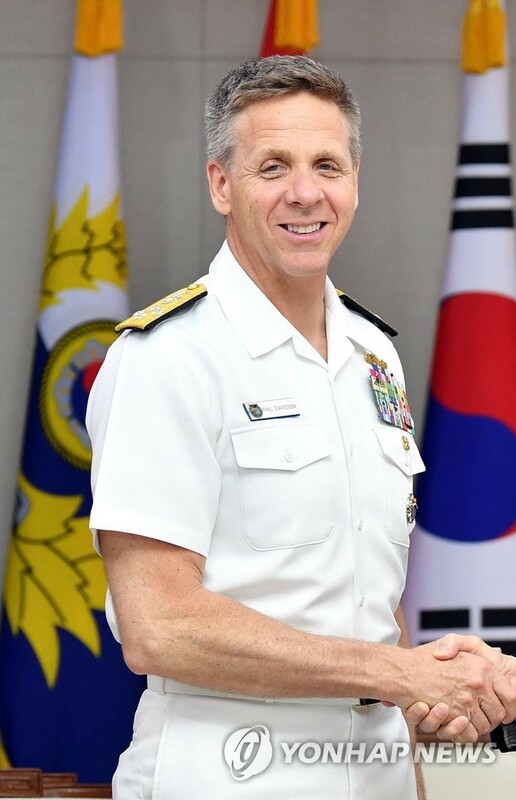 Adm. Philip Davidson, chief of U.S. Indo-Pacific Command, addressed questions about the future of the alliance amid ongoing diplomatic efforts to dismantle North Korea's nuclear weapons program. Speaking via video from Hawaii Thursday, he told a forum at Washington's Center for Strategic and International Studies that he is confident the alliance is not being undermined by the recent rapprochement between South and North. "We're not suffering in any way this impact from the cancellation of Ulchi Freedom Guardian here a few months ago," Davidson said of the first major exercise that was suspended in the wake of the June summit between U.S. President Donald Trump and North Korean leader Kim Jong-un. The allies have since halted or scaled back several other exercises as concessions to the North in return for pledged steps toward denuclearization. In addition to fears that such action could weaken the allies' defense posture against the North, there have been growing perceptions of a mismatch in Seoul and Washington's policies toward Pyongyang. South Korea's Moon Jae-in administration has pushed to expand cross-border exchanges to facilitate denuclearization and ultimately bring lasting peace to the peninsula. But the Trump administration has maintained that inter-Korean cooperation must proceed in tandem with progress in denuclearization. "I'm quite confident that the dialogue going on between the Republic of Korea and the North, and the dialogue with the United States, is transparent and open," Davidson said, calling the U.S.-South Korea alliance the "bedrock" of U.S. security needs in Northeast Asia for seven decades. "It's absolutely true in all the dialogue I have with my counterparts and in the Ministry of Defense of the Republic of Korea. I'm quite confident in our alliance," he said.